Reiki can be learned by anyone and can enable you to make contact with your deeper self, beyond your thoughts and feelings. This assists a feeling of connection to a wider world, aiding perspective, contentment and presence in relationships. Reiki can therefore aid emotional connection in your everyday relationships and support your personal sense of spirituality, through connection with your deeper self and the world around you. It is a simple and effective way of reducing the impact of stress on your life. Students have included ordinary folk to those with particularly challenging personal lives. Once learned, Reiki stays with you for life. It can be used as a tool for self-care, enabling you to support your own well-being, also providing a means of caring for your friends and family. 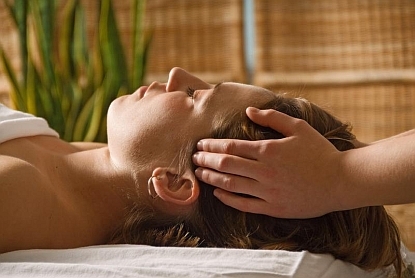 Reiki is beneficial for people whose personal lives and/or work involves caring for and tuning into others, as it supports sensitivity and understanding of that persons needs. Reiki II is the follow up to Reiki level I. As well as refreshing and expanding on the basic techniques acquired in Reiki I, Reiki II enables you to send Reiki at a distance to someone who may be in another location or part of the world and to offer a hands on healing. Class sizes are purposefully small, enabling you to receive sensitively given one-to-one attention. For dates of upcoming courses please get in touch. My training followed the original tradition of the Usui Reiki Ryôhô to improve your mind and body using this system of natural healing, plus additional study in complimentary therapies, meditation and an in depth understanding of anatomy and physiology. My experience as a Midwife and Complimentary therapist as well as a Reiki Master Teacher, means your training is carried out in a very gentle, informed and safe learning space that I provide for students and in my provision of an equally nurturing treatment space. For further information or to book onto a course call 07940812634 or email janine_t@live.co.uk. All prices are correct at time of writing but are subject to change without notice.